Isn't synchronicity a wonderful thing? Just a couple of days after wondering, in last week's post, what it will take for climate change deniers to see the light (or should I say, feel the heat? ), a book arrived in the mail. 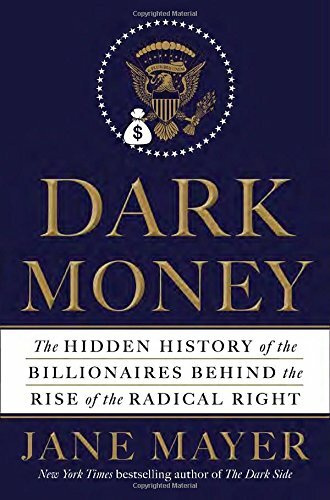 This book, Dark Money: The Hidden History of the Billionaires Behind the Rise of the Radical Right by Jane Mayer, had been recommended by a friend, and it came as if to answer my question. [A] network of exceedingly wealthy people with extreme libertarian views bankrolled a systematic, step-by-step plan to fundamentally alter the American political system. The network has brought together some of the richest people on the planet. Their core beliefs — that taxes are a form of tyranny; that government oversight of business is an assault on freedom — are sincerely held. I was asking what it would take to change the minds and hearts of climate change deniers, but I see now that the problem is an extremely deep and viscerally felt sense of disconnectedness and insecurity that (they believe) only greed ("intense and selfish desire for something"), mammon and "winning" can fill. This philosophical illness even has a name: pleonexia. My sense is that only extreme shock therapy will ever have any hope of transforming greedy, insecure people who feel no connection to the future, to other people or to the rest of Nature. Perhaps it's a game to them ... let's see how close to the edge we can go. [a] "peak and decline" scenario where stringent mitigation and carbon dioxide removal technologies mean atmospheric CO2 concentration peaks and then falls during this century. By 2100, atmospheric CO2 reaches around 420 parts per million (ppm) – about 20 ppm above current levels. In this scenario, global temperatures are likely to rise by 1.3-1.9ºC above pre-industrial levels by 2100. 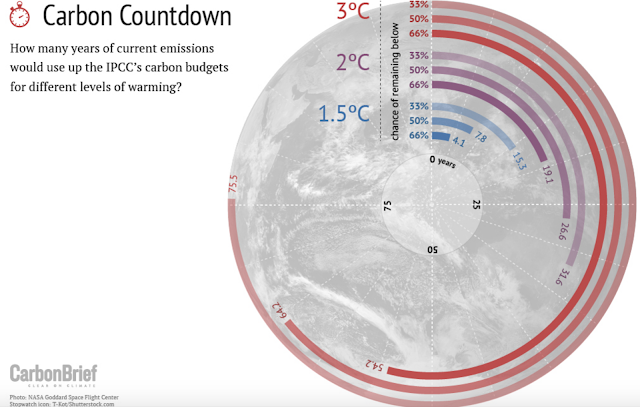 Note that RCP2.6 is the only scenario that will keep us below a 2ºC global temperature increase. 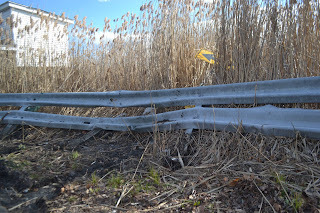 And if that doesn't sound like much, remember that +2.0ºC, before it became bandied about as though it's a target we're aiming for, was suggested as a safety guardrail. 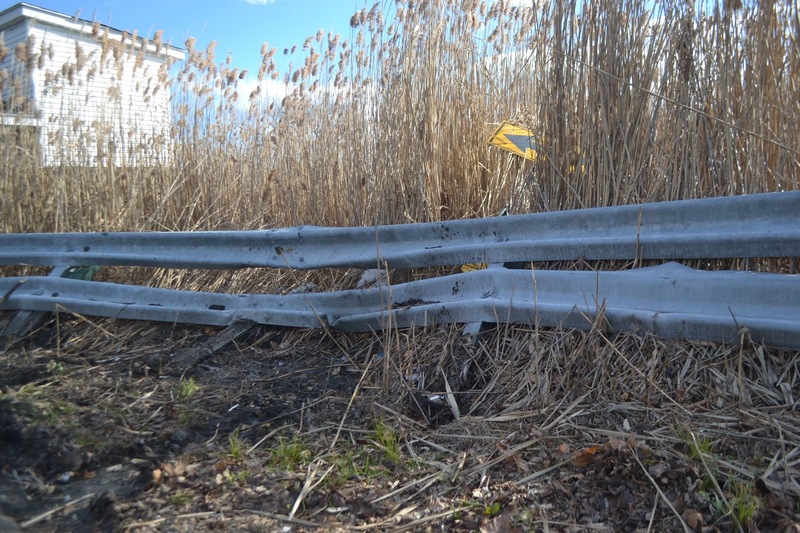 Now consider this: Once you've hit the guardrail, it's almost always too late — you're already spinning out, caught up in a catastrophic accident. 1.5ºC is those little bumps that wake you up when you fall asleep at the wheel and start swerving — oftentimes disastrously, sometimes luckily not. A 1ºC rise in global average temperature is the equivalent of all the lines painted on the road that we need and ought to stay within. And we're there already. If we keep veering all over the road, we're all going to die. Including the climate change deniers and the "exceedingly wealthy."